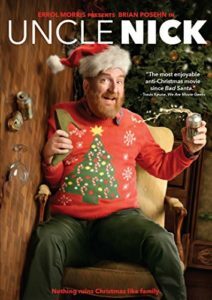 Lewd, drunken Uncle Nick (Brian Posehn, Mr. Show, The Sarah Silverman Program) stumbles his way through his brother’s cookie cutter-family’s annual Christmas gathering in the hopes of scoring with a super-hot party guest. But the arrival of his equally crass sister coupled with Nick’s liquor-fueled faux pas cause family secrets to bubble to the surface that might spell disaster for the whole clan before the night is over. 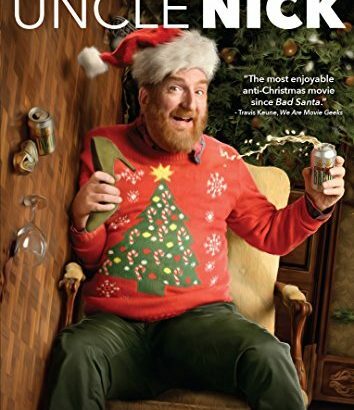 Presented by Errol Morris, UNCLE NICK is a raucously funny comedy of inappropriate behavior, uncomfortably interrupted trysts, and a monumental overserving of ten-cent beers. UNCLE NICK Is Available Now On DVD & BLU-RAY!